The Metro is located in Sydney Australia. This is not really considered a meter, but rather as part of the railroad system of the country. He was inaugurated on 20 December 1926 and currently has 14 Metro stations, along 22,1 Km (13,7 Miles), which is equivalent to having each station 1578,6 Meters (1726,3 Yards). To make large map of Sydney Metro, click above for the next picture. 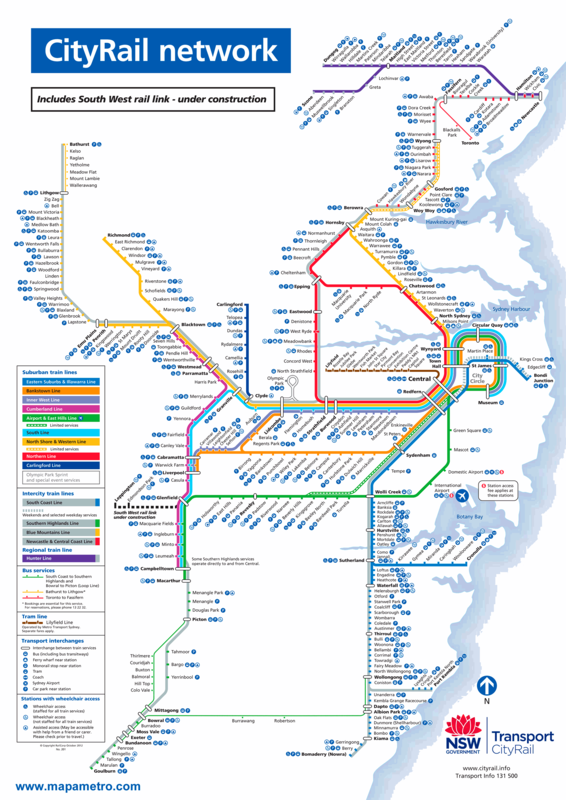 Official website of the Sydney Metro.